This is a transnational study of aboriginality and cinema. 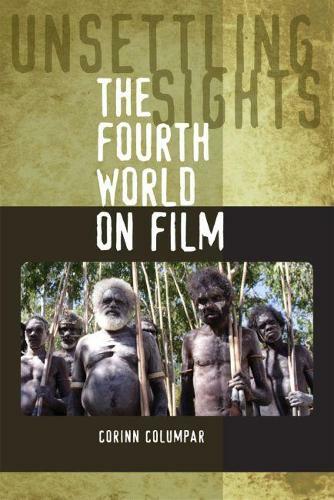 ""Unsettling Sights: The Fourth World on Film"" examines the politics of representing aboriginality, in the process bringing frequently marginalized voices and visions, issues and debates into the limelight. Corinn Columpar uses film theory, postcolonial theory, and indigenous theory to frame her discussion of the cinematic construction and transnational circulation of aboriginality. The result is a broad interdisciplinary analysis of how indigeneity is represented in cinema, supported by more than twenty rigorous and theoretically informed case studies of contemporary feature films by both first and fourth-world filmmakers in the United States, Canada, New Zealand, and Australia. Columpar relies heavily on textual analysis of the films but also explores contextual issues in filmmaking such as funding, personnel, modes of production, and means of distribution. Part one of ""Unsettling Sights"" focuses on contact narratives in which the aboriginal subject is constructed in reactive response to a colonizing or invading presence. Films such as ""The Piano and The Proposition"", wherein a white man 'goes native', and ""The New World and Map of the Human Heart"", which approach contact from the perspective of an aboriginal character, serve as occasions to examine the ways in which aboriginal identities are negotiated within dominant cinema. Part two shifts the focus from contact narratives to films that seek to define aboriginality on its own terms, with reference to a (lost) homeland and/or indigenous practices of (hi)story-telling. While texts such as ""Once Were Warriors"" and ""Smoke Signals"" foster an engagement with issues of deterritorialization, relocation, and urbanization, discussion of ""BeDevil"", ""Atanarjuat"", and ""The Business of Fancydancing"", among others, bring questions of voice, translation, and the relationship between cinema and oral tradition to the forefront. ""Unsettling Sights"" is the first significant, scholarly examination of Aboriginality and cinema in an international context and will be invaluable to scholars and students in many fields including cinema studies, anthropology, critical race studies, cultural studies, and postcolonial studies.